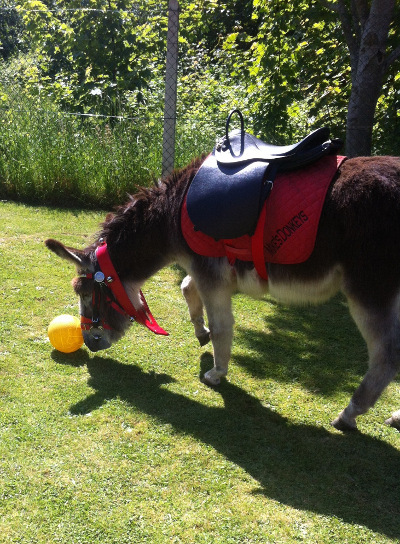 All of our therapy donkeys are specifically selected for their roles. A therapy donkey has to be brave enough to go into buildings and cope with whatever is put in front of him/her but also patient and gentle enough to stand quietly around frail people for several hours. Our donkeys go through a rigorous training process to ensure they are comfortable with the situations they may find themselves in. 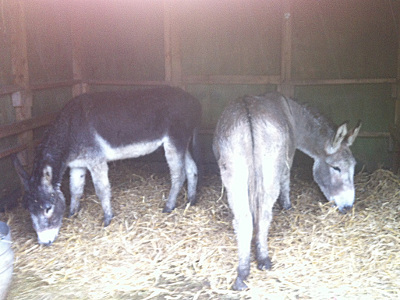 More inexperienced donkeys are accompanied by a donkey who has done extensive therapy work, to enable them to take confidence and learn the job gradually. They are exposed to loud noises, wheelchairs, large groups of people and other situations that could be frightening for them well in advance of doing any work for us. 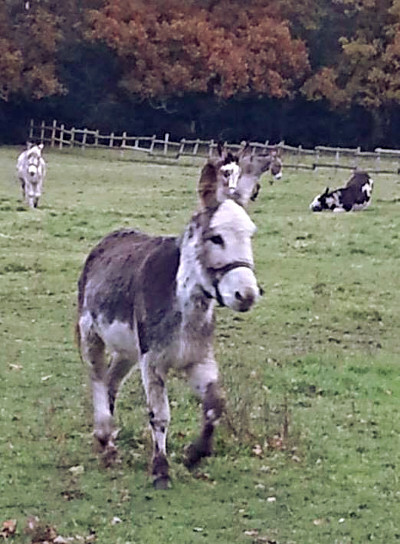 Any donkeys that aren’t suitable are either used for less specialist work by Mike's Donkeys or re-homed as companion donkeys to excellent homes. 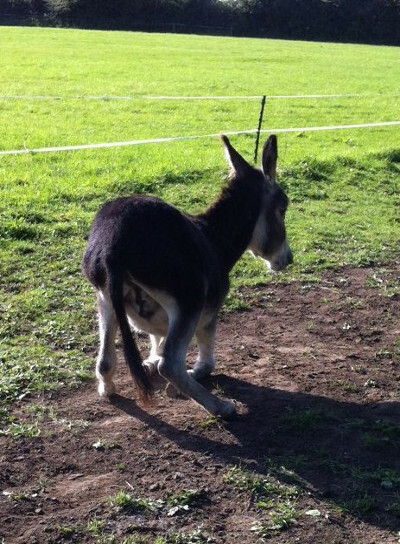 Donkeys are working animals and do love to be active. Regular work helps to stimulate their mind and keeps them mobile. Having said this, all of our donkeys are definitely regarded more as pets than working animals! Danny and his pals all live in fields with free access to large shelters bedded down with straw and with plenty of fresh hay. They work a maximum of four days a week and when they do travel they have chauffer driven trailers in which they travel loose, munching hay and moving around as they please. Each donkey is very much an individual. We are incredibly proud of them for the work they do and ensure they are treated as the stars that they undoubtedly are. Donkey Sanctuary representatives inspect our donkeys on occasions throughout the year and they are regularly checked over by vets and visited by the farrier to ensure they are fit and healthy and in top condition. In accordance with Donkey Sanctuary regulations, we impose a strict eight stone weight limit.